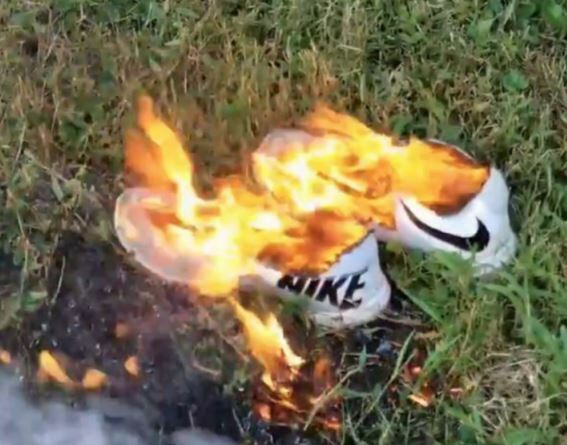 All across America patriots have been so offended by Nike's latest ads that they are burning their overpriced Nike products. Within 24 hours of the first airing of the ad one college announced that none of their athletic teams would use Nike gear. What was so offensive about the ad? Colin Kaepernick, who started the whole disrespect-the-flag movement in the NFL, was featured saying, "Believe in something. Even if it means sacrificing everything." This is the height of hypocrisy. Kaepernick insulted people who actually have sacrificed. He showed disrespect for our police by wearing socks on the field depicting officers as pigs. And he knelt during the National Anthem instead of standing to honor the millions of Americans who gave their lives for the Flag. What has he "sacrificed?" Nothing. Before he blew up his career he made $26 Million a year. That's 350 times the salary of the police officers and 700 times the salary of the military personnel he trashed. "Well, didn't he sacrifice his career?" you may ask. Not really. He knew he was on the way out. His performance was down, and nobody wanted him. He had led the 49ers in 11 straight losses. He was finally benched for poor performance. 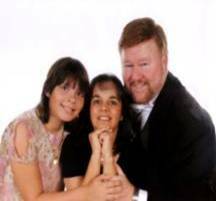 His last game was the first time in NFL history that a quarterback threw for less than five yards and was sacked five times in a game. He figured he was going to get the axe anyway, so why not do something outrageous? Then he could claim that he was being persecuted when he got fired. Of course, this made him wildly famous among the Democrats and Liberals who also disrespect the flag, so now he has become a celebrity making millions on ads like Nike's. The other thing that was highly offensive was that he claimed to have sacrificed "everything" in a commercial that included a young wrestler. This young man had no legs, yet he is shown in the ad competing fiercely against another youngster with two arms and two legs. (Legs are very important to a wrestler.) Kaepernick claims that it took tremendous courage for him to kneel during the anthem. He didn't show 1% of the courage of this wrestler. So. The NFL is well rid of Kaepernick. The Left has a new hero. And I don't have to watch this jerk kneel when the flag I served under is displayed. So I guess it's all good.